If you are looking for epoxy coating in Brisbane, QPaint is your best choice. We offer the most competitive pricing along with a highly experienced team. 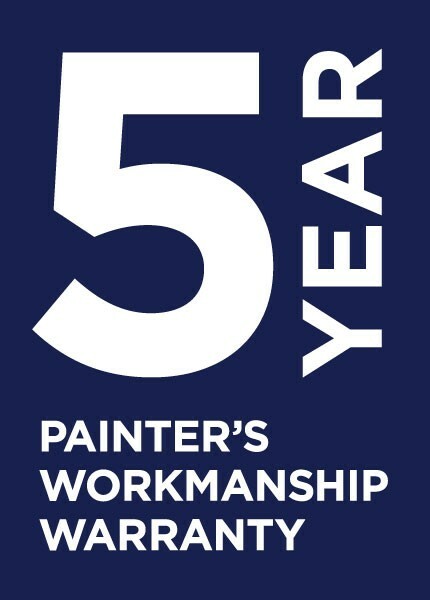 QPaint is expert in epoxy flooring Brisbane and Gold Coast. Epoxy flooring is used in residential, commercial and industrial flooring applications. One of the most popular home applications of epoxy flooring for homes in Brisbane is garage epoxy. At QPaint, we can prepare your concrete flooring and apply epoxy making your garage look amazing. Garage epoxy floor coating is also a great option for large commercial garages and mechanics plus factory flooring. 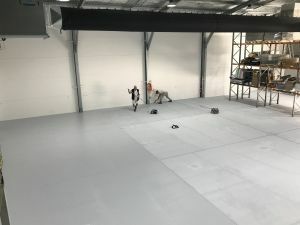 QPaint can install a non-slip professional epoxy floor that is a great solution for industrial and warehouse spaces. Easy to clean, hygienic and non-slip epoxy floors in Brisbane. Epoxy flooring is even more hygienic than plain concrete flooring. As concrete is porous it traps dust and debris easily. Whereas epoxy is a coating seal, giving a smooth finish that is non-porous. 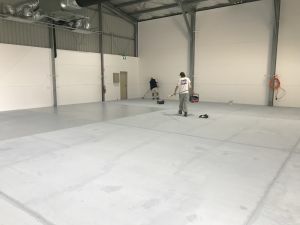 If you are unsure whether your flooring can be applied with epoxy, our QPaint team can visit your site and certainly provide a free quote and advice on epoxy. Epoxy is a great flooring solution for garages, restaurants, warehouses, hospitals, industrial buildings, shopping centres and commercial buildings. Epoxy is also great for outdoor flooring, pools, patios, walkways, and pedestrian traffic areas. Some examples of our range of clients that choose epoxy flooring include schools, medical centres, factories, large-scale commercial kitchens and warehouses. 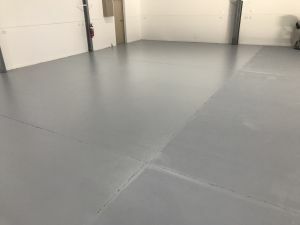 Two-pack epoxy coating systems are the most suited for these spaces if you are unsure of what type of epoxy to choose, simply give us a call for free advice. 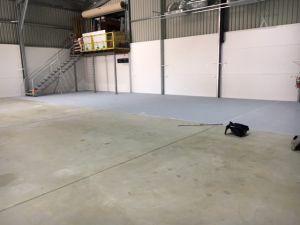 QPaint provides epoxy flooring solutions in all Brisbane and Gold Coast suburbs. Easy to maintain – a non-porous flooring system making cleaning and maintenance easy. Durable and resilient – great for industrial and heavy-duty workplaces, easily withstands heavy equipment and machinery. Scratch resistant – resistant to dents and scratches due to the thick layer process. Sealed and smooth finish – hygienic surface, moisture resistant and all with high gloss finish suitable in any style of workplace. Great low-cost flooring option that performs better than concrete flooring. Non-slip – epoxy flooring is slip resistant and QPaint can also add extra grip on high slip areas. Industrial grade suitable – chemical and stain resistant. Cost effective – can be laid over most existing flooring with little preparation and is quick drying. Ready for use after 24 hours. Epoxy garage floor Brisbane – remember epoxy is not paint. Paint can have epoxy added to it to make it more durable but it is still classified as paint, (epoxy paint). It is a resin applied as a coating and combines epoxide resin with polyamine hardener. Epoxy is strong, durable and scratch resistant, ideal for long lasting and hard wearing garage floors. Dent resistant properties of epoxy make it fantastic for garage floors, dropped bikes or tools will not dent epoxy coated floors. 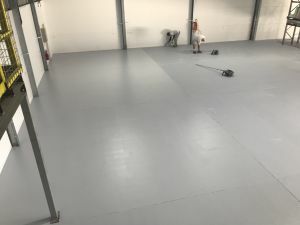 This comes in a huge variety of colours and our QPaint team has applied this type of epoxy floor on garages, public bathrooms, commercial kitchens, and warehouses. This is a great option to give a space a unique look at a low cost. At QPaint, we have a wide range of colour options and provide both Artistic Epoxy and Designer Epoxy. Artistic epoxy is coloured and can be created with more than one colour along with a pearl effect. Often used to create epoxy images and great for branding in cafes and restaurants. Designer Epoxy is a single colour epoxy with a high-end finish. This a great look for concrete flooring in homes and offices. Are you looking for heavy duty epoxy screeds? These screeds are 3mm-40mm thick and ideal for heavy duty flooring. QPaint offers a wide variety of colours and all of these are chemical resistant with anti-slip properties. Making it ideal for factories and warehouses. Commercial and workplace spaces may require safety lines, emblems or lines markings. 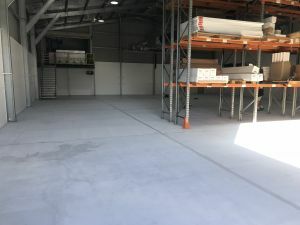 If you need epoxy resin flooring in Brisbane and Gold coast areas call us at QPaint for the most cost-effective prices. For all epoxy floor options and to find out how much epoxy floors cost – call the experts at QPaint. We will give epoxy prices and advice over the phone.